In Chicago, Illinois, the city’s planning department is turning vacant lots on the South and West Sides into small stormwater management parks. One of the vacant lots in Humboldt Park. Photo credit: Cook County Assessor. 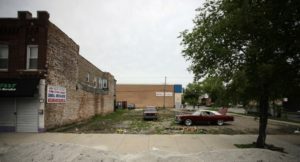 The eight lots are scattered across the Humboldt Park and North Lawndale community areas. Three of the sites will have a solar panel, three of them will have a rainwater runnel. Some will have plazas with permeable pavement, others will have underground water storage before water gets into the sewer, and others will have a small parking lot with permeable pavement. Note from Storm: This seems to be a national trend, and a healthy, revitalizing one at that. I recently returned from a week in Michigan, where I did two keynotes and two workshops, one of each in Battle Creek and Kalamazoo. The Battle Creek client was the Michigan Association of Land Banks. They brought me in to help them think-through the design of “Land Bank 2.0“, a revitalizing new generation of land banks. Bioswale at Prairie Gardens in Kalamazoo. 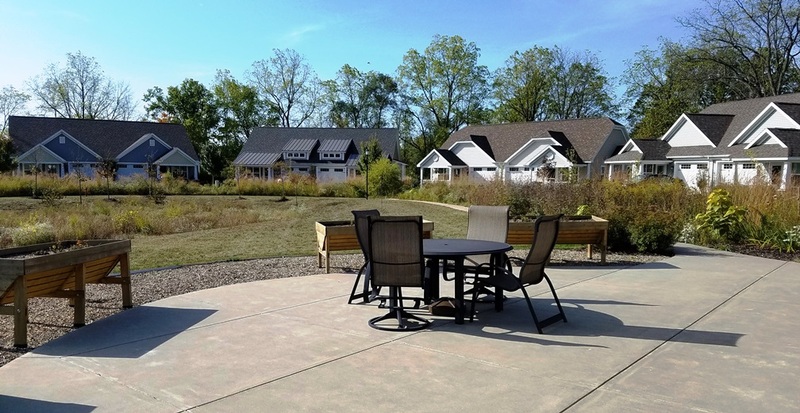 In Kalamazoo, I witnessed a great example of a land bank that is working hard to become a “Land Bank 2.0”: my other Michigan client, the Kalamazoo County Land Bank (KCLB). Under the inspired leadership of their Executive Director, Kelly Clarke, KCLB was the first of the nation’s 150 land banks to adopt the 3Re Strategy (repurpose, renew, reconnect) for community revitalization. 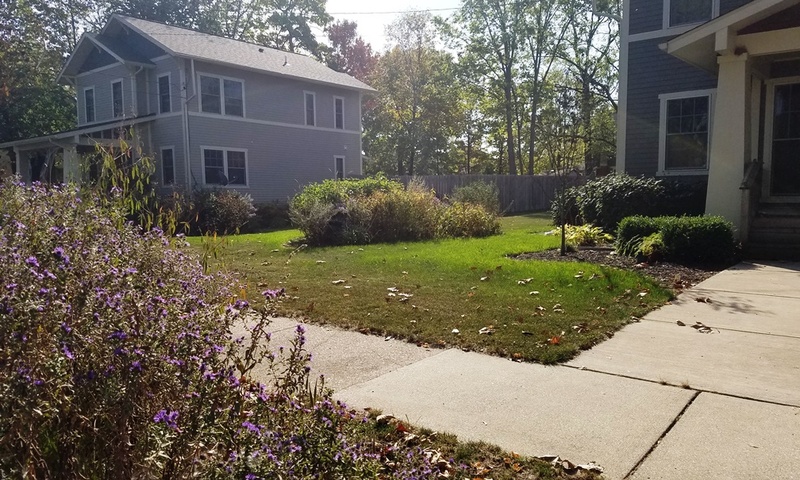 One of the many revitalizing practices of KCLB is the turning of vacant lots into bioswales that contribute to regional watershed restoration and local flood prevention. They have the additional benefit of being both more beautiful and less maintenance-intensive than an ordinary lawn. But KCLB isn’t stopping at vacant lots, like the one pictured at the top of this page. The are incorporating bioswales into many of their projects. 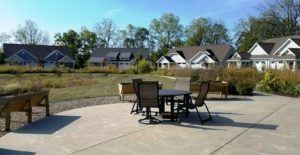 Bioswale at Riverview Launch in Kalamazoo. One especially-impressive such project is Riverview Launch, which repurposed, renewed, and reconnected a vacant brownfield site into a combination of offices, and educational facilities. They reused the old buildings, created a native flower prairie, and added a bioswale. Finally, they reconnected the property to the local river trail. 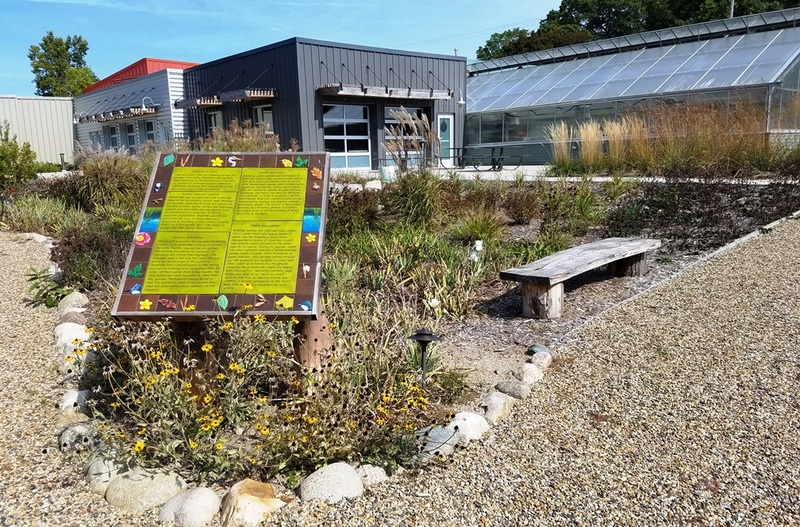 In their Prairie Gardens affordable housing development, which is also on the brownfield site of an old insane asylum, they also created a native prairie garden to help restore native pollinators, and added a bioswale behind the patio of the community center. 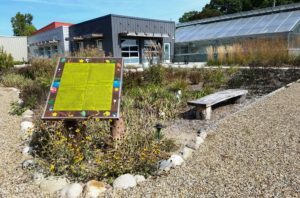 Featured image of bioswale on vacant lot in Kalamazoo is by Storm Cunningham. See Chicago Cityscape article by Steven Vance.